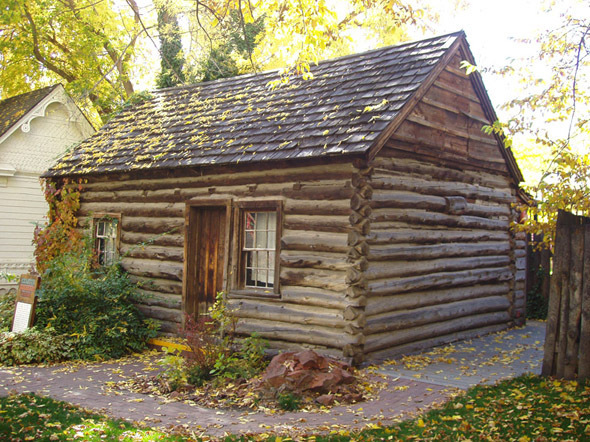 This cabin was built by Erastus Bingham when he arrived to the North Ogden area in Spring 1851. 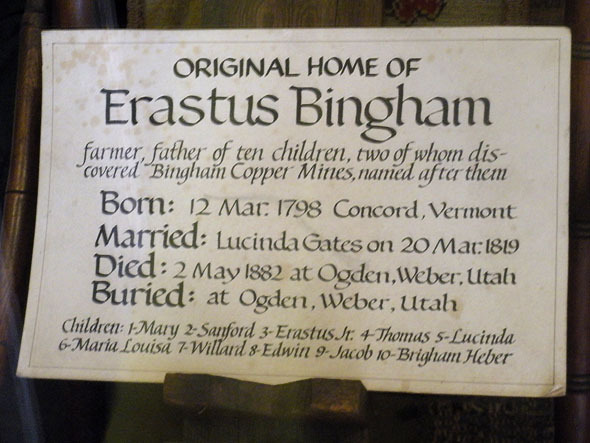 Erastus Bingham, Sr. was born in 1798 in Concord, Vermont. At age 20, he married Lucinda Gates of Ackworth, New Hampshire. They began their life together on their farm in Concord. Around 1825 they relocated to Littleton, New Hampshire, but returned to the farm in Vermont after a couple of years or so. Erastus was not a part of any religion until spring of 1833 at which time he read The Book Of Mormon. Later that year in November, Erastus, Lucinda and four of their children were baptized and became members of The Church Of Jesus Christ Of Latter-Day Saints, also known as the LDS Church. In 1836 the family traveled with the Saints as they moved westward starting in Kirtland, Ohio then on to Missouri. There, Erastus rented farmland and built a log house for his family just outside of Far West. 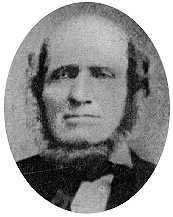 After his first harvest the following year, members of the church were ordered to leave the state by Governor Lilburn Boggs. Erastus was chosen to be part of a committee along with Brigham Young, John Taylor, Heber C. Kimball and seven others to organize the evacuation from Missouri. After settling in Illinois for about five years he bought a 160-acre farm just outside Nauvoo until continued pressure from locals and mob violence forced church members to leave once again. His family left Nauvoo in May 1846 and Erastus was made captain of a group of 100. When volunteers left to fight in the Mexican-American War, Erastus took care of the families of the volunteers while he and his group continued traveling westward from Iowa to Nebraska and ultimately reaching the Salt Lake Valley in September 1847. The following spring he was given a lot in the Holladay district of Salt Lake City to live on. In addition, Erastus was given a grazing permit for land at the mouth of a small canyon in the Oquirrh Mountains. Two of his sons – Thomas and Sanford – lived there and herded cattle. It was around 1848 when Thomas and Sanford found outcroppings of ore deposits on the property. According to a grandson of Erastus, Sr., Thomas and Sanford “were counseled by Brigham Young [now the LDS Church president] not to attempt to pursue mining as the lives of the people depended upon farming and stock raising.” The canyon was named Bingham Canyon and when others began mining there decades later, the Bingham Canyon Copper Mine became the largest man-made excavation in the world. In 1850, Erastus, Sr. was called by Brigham Young to begin settlements in the newly created Weber County. In April, he staked out a farm and built a house near the Weber River. A few months later in September, Brigham Young chose this location as the site for a new city named after Peter Skene Ogden, a trapper with the Hudson’s Bay Company who had spent time in the area. Erastus sold the land (which later became the location of the city and county offices) and relocated to a spot near Lorin Farr’s Fort – a large log fort near present-day 12th Street and Canyon Road. Here he built a new home and started another farm. Erastus became a bishop in the church in January 1851 and in spring, moved his family again to a spot northwest of Farr’s Fort. Two years later, he began construction on a fort to protect his and other families from the threat of unfriendly Indians. The walls were twelve feet high and constructed of rocks and mud. By 1854 it was home to over 700 people. Upon visiting in 1855, Brigham Young instructed the people it was time to abandon the fort and build a city on the site he designated for Ogden five years earlier. Erastus purchased land at what is now 23rd Street and Madison in Ogden and built yet another home for his family. He continued farming his land near the fort. Erastus lived to the age of 84, passing away on 2 May 1882 in the cabin he built in 1851. …Lucinda Gates Bingham, exercised the highest degree of charity, and by deeds of kindness proved that she loved her neighbor as herself. Anyone coming to her in confidence or in need went away comforted. In the dark days of Missouri and Illinois persecutions many needed and sought her council, help, and encouragement. She and her daughters, while crossing the plains to Utah gladdened the hearts of the other weary travelers with songs as they gathered around the campfires, so necessary for the morale and to prepare them for a good night’s rest. The Indians knew of the kindness of Mrs. Bingham and she and her family were safe from the violence of the occasional raids. New emigrants who arrived in Ogden in poor health or poor circumstances were sure of assistance if they came to her. She never turned anyone away who was hungry or weary. The home he built at Bingham’s Fort remained in place until it was moved to a different spot on the same property in 1925. Different members of the Bingham Family lived in the cabin until around the turn of the 20th century. In the following decades, the home was occupied by members of the Stone Family. Ogden mayor Raymond Wright wanted the cabin to be preserved. Clyde and Macel Stone Montgomery were living in the cabin at the time, but by 1953, they had built a new home right next to the cabin. 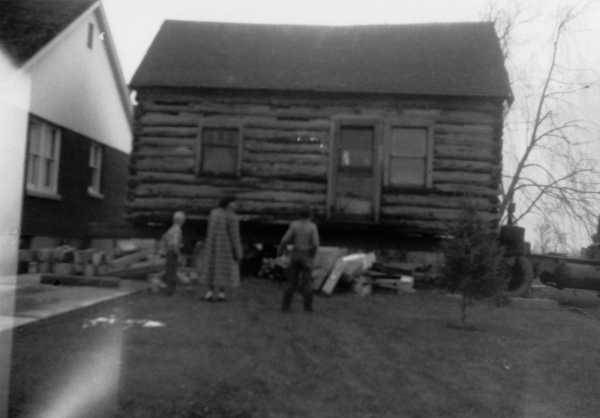 In 1955, the historic, 104-year-old cabin was moved intact by truck to the Sons Of Utah Pioneers’ Pioneer Village collection in Salt Lake City where it could be properly cared for. There, the Bingham Cabin found a new home, standing between the Coalville Chapel and a smokehouse. When the buildings of Pioneer Village were transported to Lagoon in the mid-1970s, the overall layout of the buildings changed dramatically, but the Bingham Cabin was once again placed next to the Coalville Chapel. In 1951, the Daughters Of Utah Pioneers placed a monument to Bingham’s Fort at Five Points in Ogden. When the road was widened there about 50 years later, the curb was moved right up to the front of the monument, making it difficult to read. It was around that time that West 2nd Street was being rebuilt and housing developments were popping up in the area. With the efforts of long-time residents of the area, the memorial was moved to the actual site of Bingham’s Fort in 2004 and now stands at 325 West 2nd Street at the front of part of Erastus Bingham’s Farm. When the monument was dedicated in August 2005, other projects were being planned to bring more of the old fort’s history to the area. There were hopes of bringing the old Bingham Cabin back from Lagoon to its original spot, but this never came to fruition. Today, near the monument, there’s still a historic barn and a granary Erastus, Sr. built in 1875. A small, skeletal structure marks the location of the old Bingham Cabin, which is still part of Pioneer Village at Lagoon. BinghamsFort.org – A wealth of information and images on Bingham’s Fort, its construction and many of the families who lived there. The author is a direct descendant of Erastus Bingham, Sr. through his son Erastus, Jr.
Trentelman, Charles F. Pioneer Monument to be dedicated. Standard-Examiner, 6 Aug 2005. Erastus Bingham the Patriarch. FamilySearch.org, accessed 24 Jul 2016. Bingham, Erastus Perry. Autobiography of Erastus Perry Bingham. FamilySearch.org, accessed 24 Jul 2016. Bingham’s Fort Monument, 327 West 2nd Street, Ogden, Utah. BinghamsFort.org, 6 May 2009.